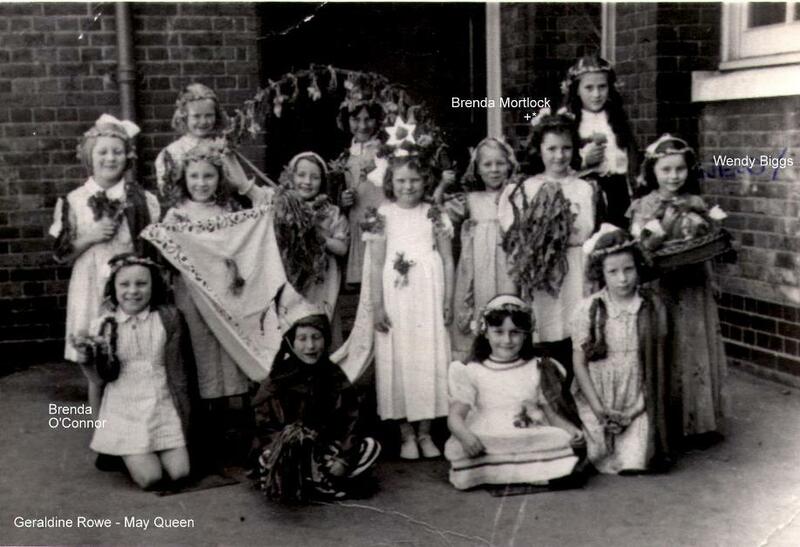 Brenda Bostock (nee Mortlock) had provided this photo showing the May Queen, Geraldine ROWE, at Ealing Road School in 1948, she has included some other names. Joyce Marchant (nee Stockley) adds 'I am the one under the flower garland'. See more of Brenda's memories and photos.